The average price found by our customers for Southsea to Ryde recently is £37. Book a Southsea to Ryde ferry today with AFerry. Just use the form above and choose the route that you want. If nothing appears automatically, start typing Southsea. You can also type the country or even the name of the ferry company you are interested in. When you have the route that you want, choose single or return and all the other options you want. If there is more than one ferry company operating on the Southsea Ryde route we will show you all the ferry companies, to make sure you get our best price. 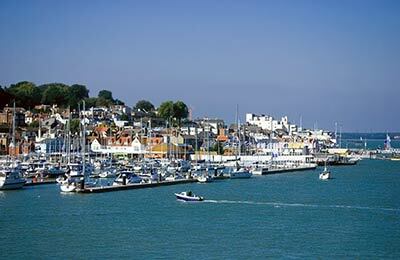 We'll also show you any routes similar to Southsea to Ryde so you have the complete picture when making your booking. And of course you'll also see a range of times just in case it's a bit cheaper earlier or later than your preferred booking time. Once you've chosen your perfect sailing and have made your booking we'll email you your booking confirmation for your Southsea to Ryde ferry. The majority of tickets have instant confirmation. Below you can see the ferry company or companies that sail on the Southsea to Ryde route and the journey times. You might also see some recent prices our customers have found. The best way to find a cheap Southsea to Ryde ferry though is to use the form above today to see all of our possible choices. With AFerry we always give you our best prices for ferries from Southsea to Ryde. No matter which page you book from we always include all our special offers. And there is no need to look for a discount code. If we have an offer available, your ferry price will include the reduction or offer. There's no need to look at other websites. If you're not sure if the Southsea to Ryde route is right for you or you can't decide between ferry companies, if there is more than one, you might also find it useful to read any reviews we have available. We ask all our customers to send us reviews for Southsea to Ryde ferries. Remember though, that the earlier you book, the cheaper prices normally are. So don't spend too long deciding! Southsea to Ryde is a popular route, so we advise you to book as soon as possible. 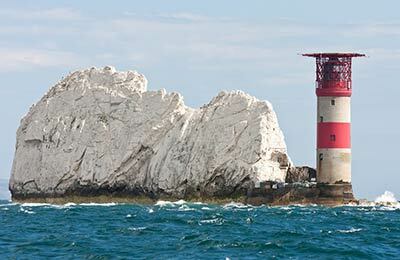 Southsea, located on the UK South Coast, is the ideal passenger gateway to the Isle of Wight and is easily accessible from all parts of the country by road and rail. Southsea is a small seaside resort, less than a mile from the Portsmouth City Centre. Southsea is a typical seaside town with a beach and two piers, the South Parade Pier and Clarence Pier. Both piers host amusement arcades and there is also a permanent funfair adjacent to the Clarence Pier and the Hoverport. The Southsea Common hosts a number of open air concerts and events through the summer, bringing masses of people to the area. There are many attractions on Southsea Seafront including Southsea Castle, the Blue Reef Aquarium along with Britain's only museum dedicated to all aspects of the D-Day landings in Normandy, the D- Day Museum. With only a short 5 minute Hoverbus journey, the Spinnaker Tower and the Historic Dockyard can be reached. The Spinnaker Tower is situated on the waterfront at Gunwharf Quays, it offers amazing 350º panoramic views of Portsmouth Harbour, the South coast and the Isle of Wight, with views stretching out for up to 23 miles. Breathtaking by day and a glittering sea of lights by night. I would like to thank all your staff for the excellent service and easy journey to and from the island. Terrific price that enabled us to visit family. Staff very helpful with wheelchair. Very easy and straightforward trip. Trip to Amazon World !! My husband and I decided to take our Grandchildren on the Hovercraft as a new experience as we have taken them to the IOW on the ferry before. We had booked to go for 11.30 but unfortunately just couldn't find anywhere nearby to park and was delayed by an hour. We were allowed to travel on the next one available and the boys really enjoyed their rides. Won't do it again though because of the time wasted waiting for buses. The Ride epic. I had a Good Time With Hover Travel. They had Very nice stuff I will travel with them again P.S All The people who think hover travel is bad go with stupid wight link or something be like that!!!!!!!!!!!! !